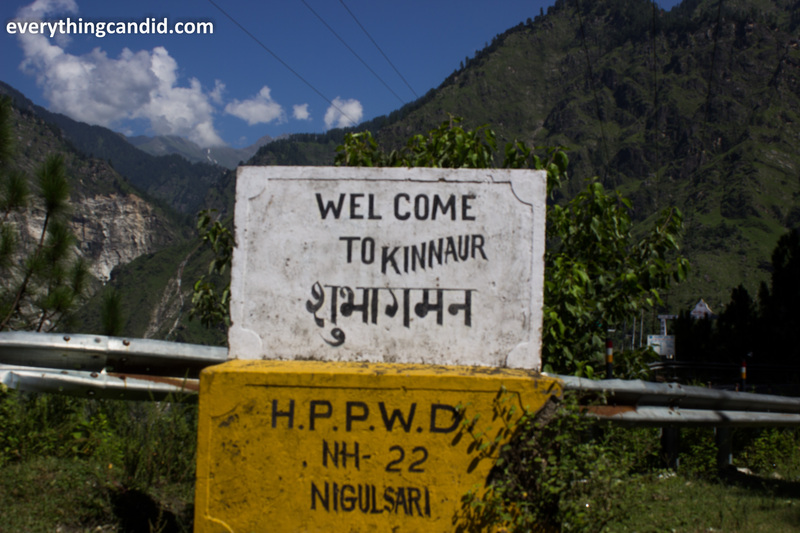 Recently we concluded our first real road trip to a distant land called Kinnaur. It changed everything for us and helped us realize that we find “real us” when on road. Let us unfold our this journey which, we are sure, would open gates to much more from our future life on road. On 15th August at 11:30 PM, my wife and I came back from a function and while parking my car, I asked my wife to get ready as we would leave for someplace in next 60 mins. And the expression on her face was a mix of astonishment and exaltation. For the next 60 mins, she kept asking where are we heading for and truly I was clueless. 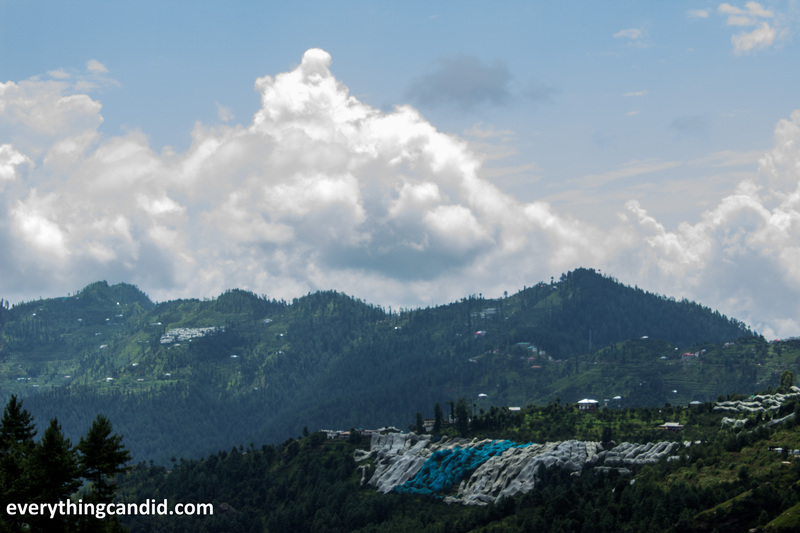 For the last many days I was trying to book hotel in Kausani in Uttarakhand or Khajjar in Himachal Pradesh, but due to long weekend rush it could not be done.So I had no bookings done, and hence I asked my wife to dump Jaipuri Quilt, All-Out, HIT Mosquito Spray etc in the car as we might have to lodge in dire places on our way to some place in mountains. 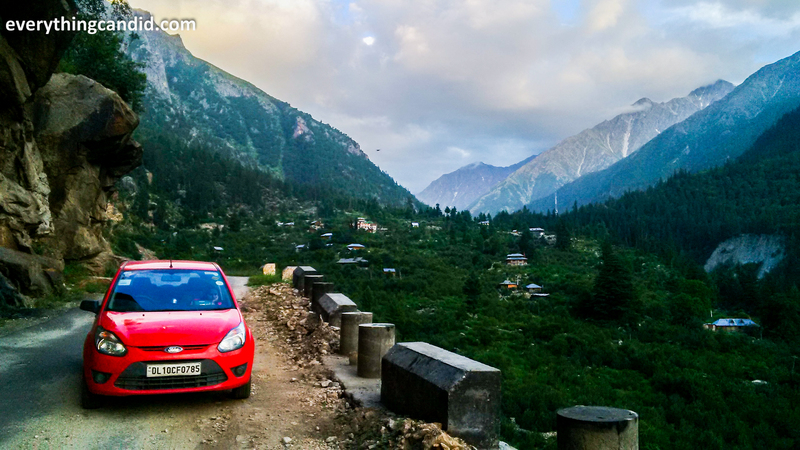 At 12:30 AM while stuffing our car, I told her we are heading towards Kinnaur Valley. She started googling about the places and started checking pics online to get an idea where all we would be in next three days. 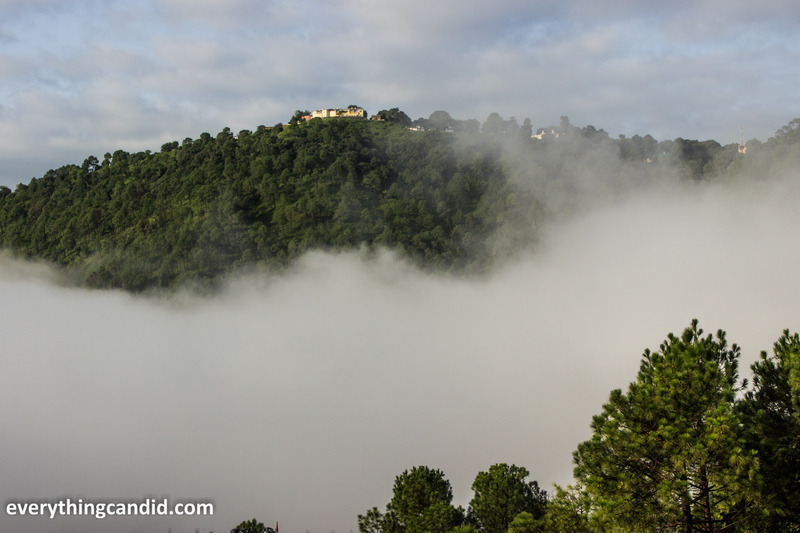 I had my reason to leave at midnight as wanted to see the sunrise after Chandigarh and somewhere in Himachal. 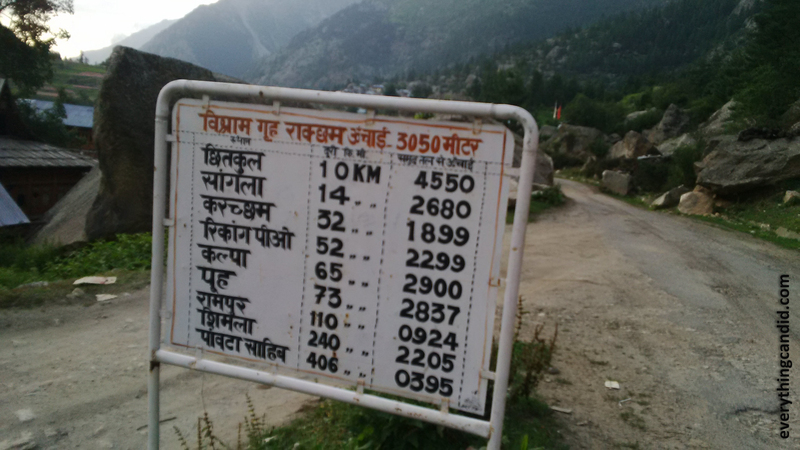 So we had exactly 3 days to travel and only aim was to travel as far as we can thru Kinnaur valley and come back by 19th August morning. Places were not decided only direction was. Our first stop was as usual Murthal where we took a break and bought 2 cans of Redbulls for all-night drive. At Pahalwan Dhaba we ate delicious Parathas and continued our journey. At Sonipat we filled diesel tank full and also took a power nap of 20 mins. I knew I had to drive continuously for long and hence decided to drive at a leisure speed. We passed Chandigarh at 5:00AM and experience the sunrise amidst green valley around Dharmpur. the morning was serene and beautiful, so my first objective was achieved. We took another power nap after crossing Solan and reached Shimla around 10 AM but amid heavy traffic lost 2 hous of crucial time in crossing Shimla. 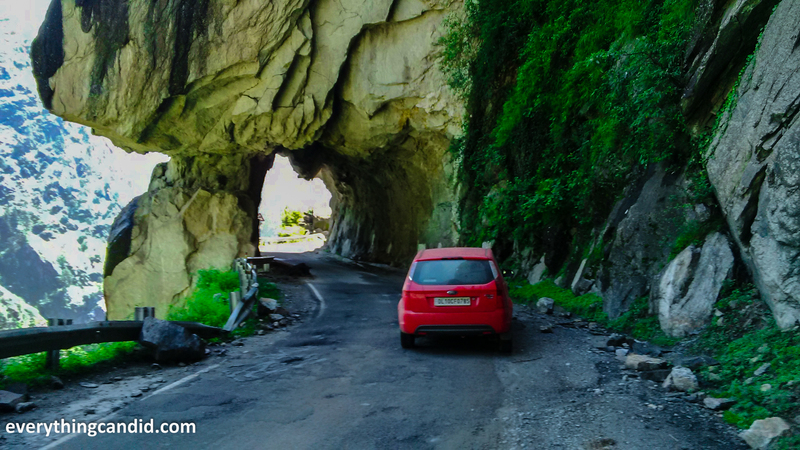 Later I realized, I needed not to cross entire Shimla and take Victory Tunnel on our way to Rampur. 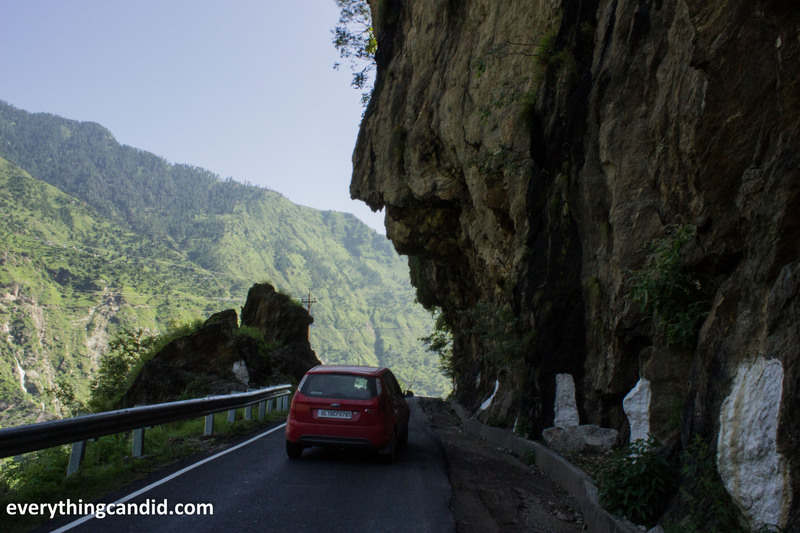 On our way back we took the bypass and save ourselves from congested streets of Shimla. Beause of traffic, Shimla never entices me and hence again without even stopping for once we headed directly towards Rampur. Anyways, after shimla we stopped at Kufri and ate the simmering hot Maggi. Maggi at Kufri is must…. Don’t miss it. After Kufri, everything was so so enchanting and scenes were enchanting. 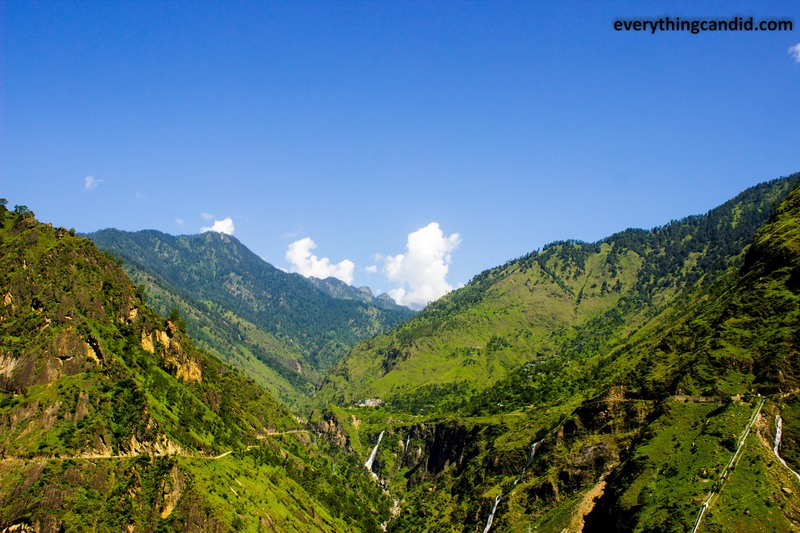 After driving umpteen times uphills and downhills, we had the first glimpse of Sutlej Valley at Kumarsain.The delicious golden and red apples of Kumarsain are famous all over India. 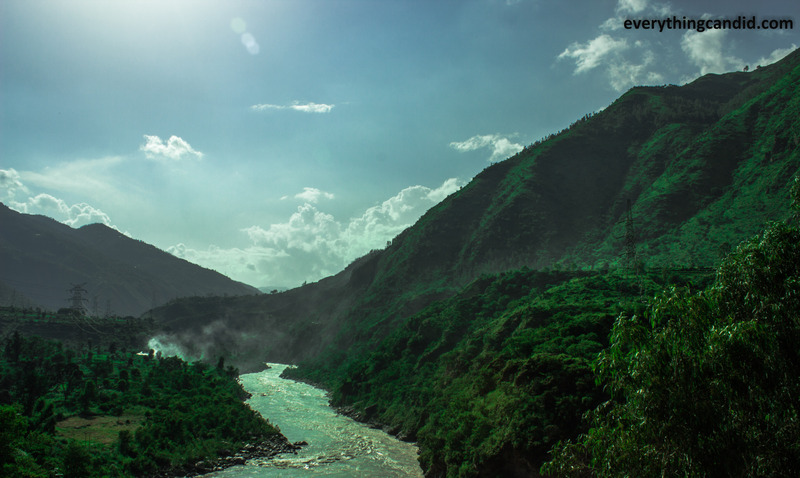 After 30 mins of downhill drive, we entered Sutlej valley and were driving along Sutlej. 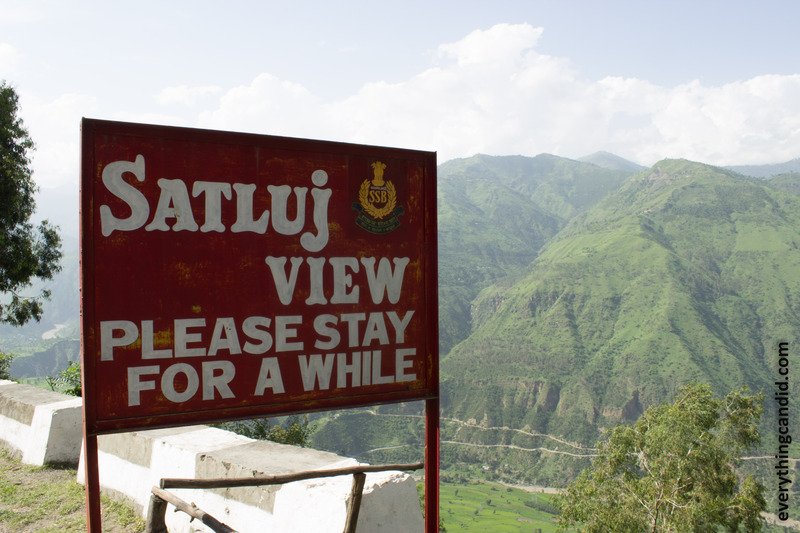 And for the next two days Sutlej was with us almost all the time. It was already 3 PM and after talking to fellow travelers and local people, we finalized to take a night halt at Sarahan. 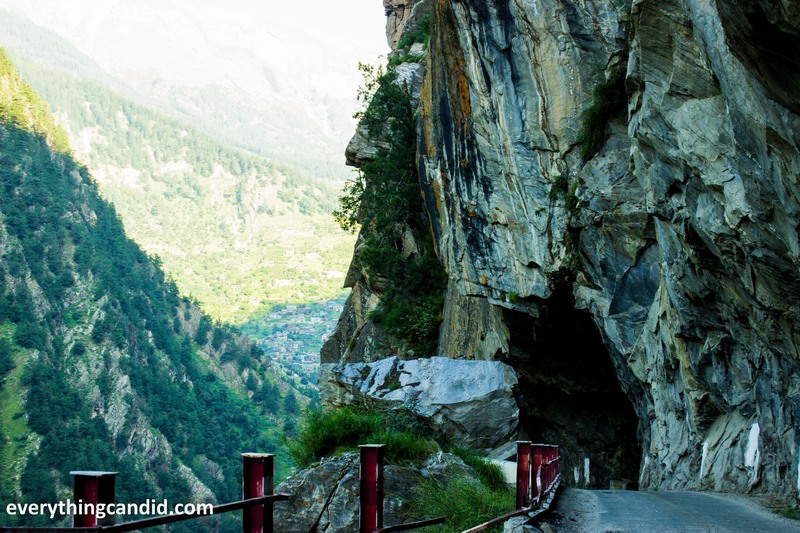 Sarahan is the gateway to the Kinnaur and is famous for Bhimakali Mandid which is the Presiding Deity of rulers of Bushair State. Current Chief Minster Mr. Virbhadra Singh belongs to the same family of rulers. 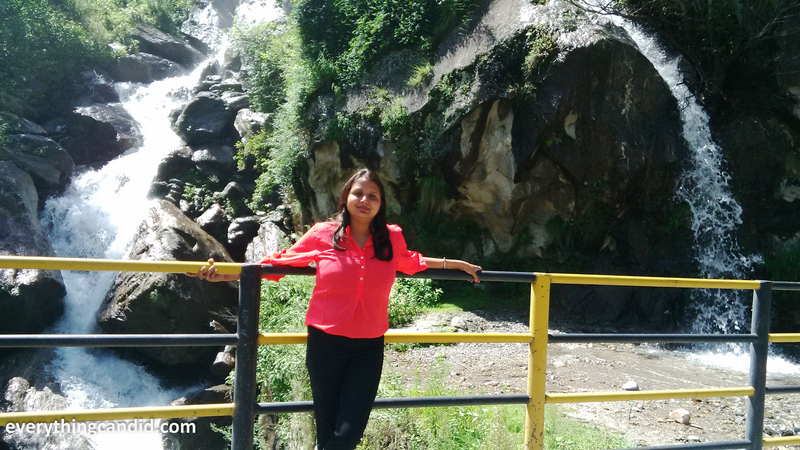 By 7 PM, we reached Sarahan, The Gateway to Kinnaur and were told about one HPTDC property “Srikhand.” For Sarahan we had to take a detour from Jeori for 17 KM to the hill Top. And once reached the hotel, hotel manager politely confirmed the non-availability of rooms. 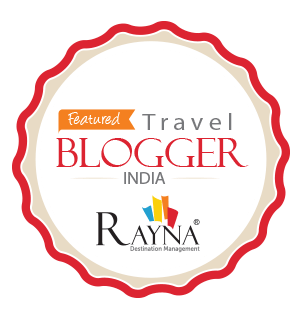 On this, we almost made up our mind to spend night in our car only, but then God favored us and thus entered Mr. Vipin and he asked us to wait for some time as booking cancellation for one room is expected. We went and sit in the open air patio of the hotel breathing the freshest of the fresh air looking at Srikhand Kailash. 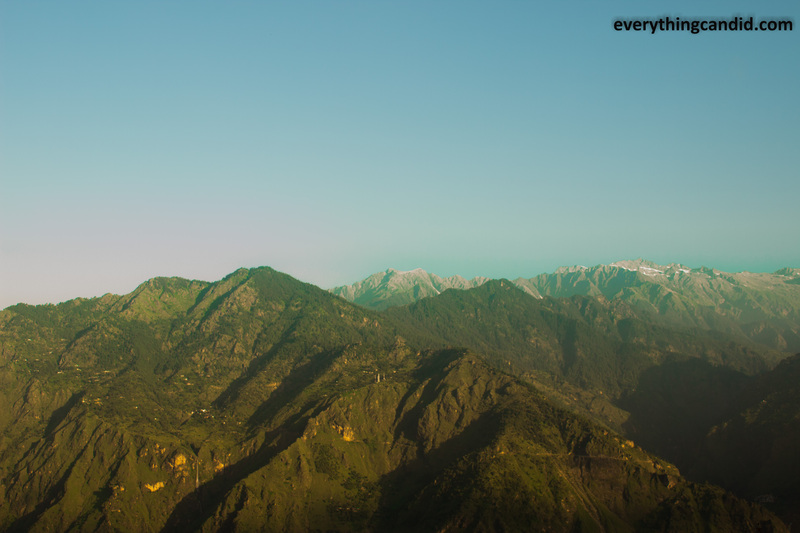 God must be in best mood for giving everything beautiful in bounty to the Himachal. 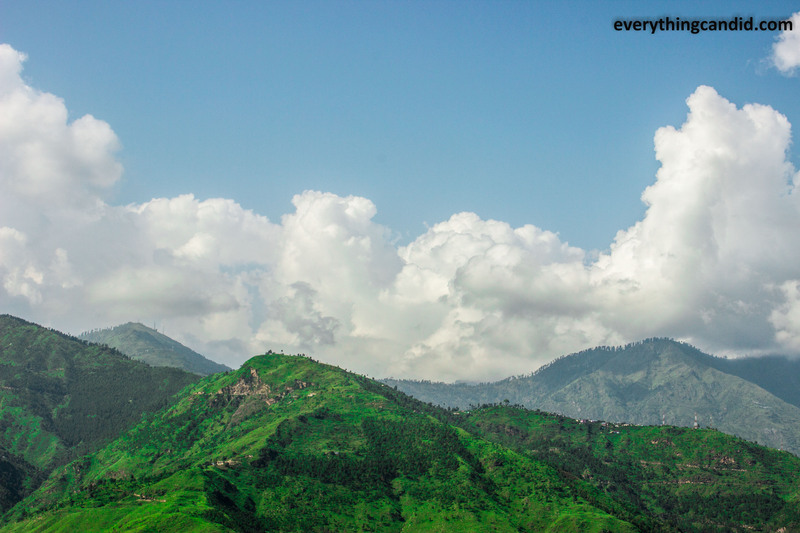 The snow-clad mountains run across and green meadow hills make everything so picture perfect. Later, Mr. Vipin came to us and confirmed the booking. Thanks Vipin for being so considerate. Later Mr. Vipin and His boss also helped us in finalizing our next day itinerary. 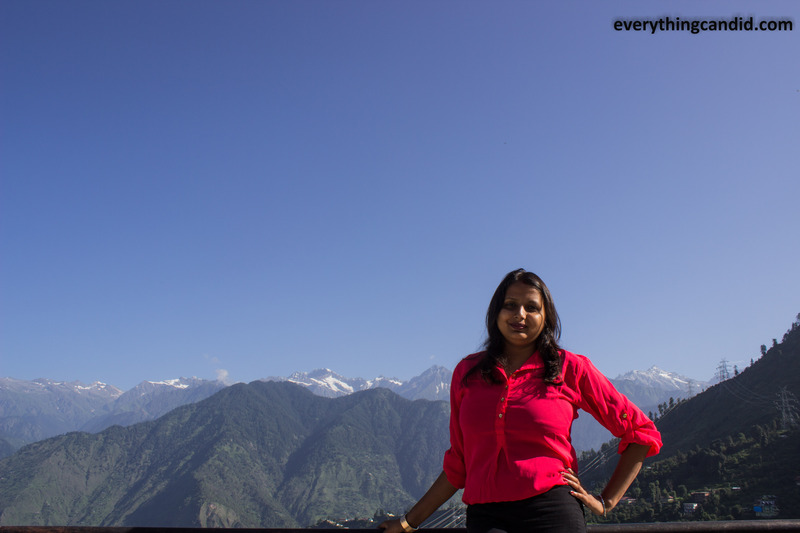 We had two options either to go Kalpa or to Chhitkul Via Sangla. 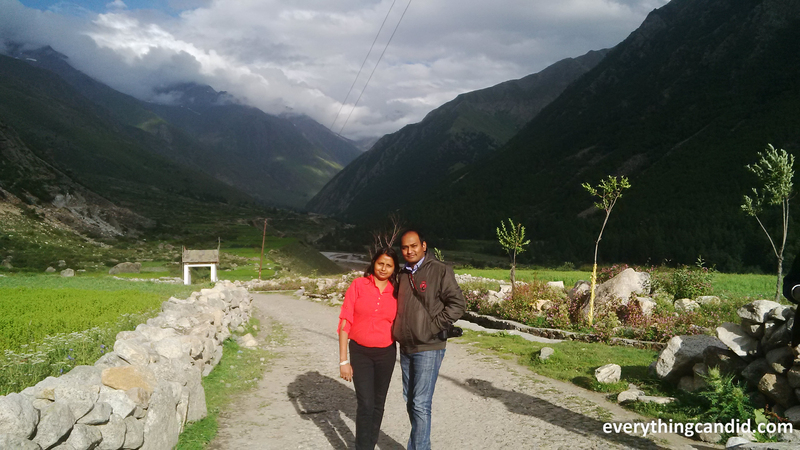 He gave us valuable inputs and we decided to head towards Chhitkul. This property of the HPTDC at Sarahan is awesomely scenic and is damn cheap. 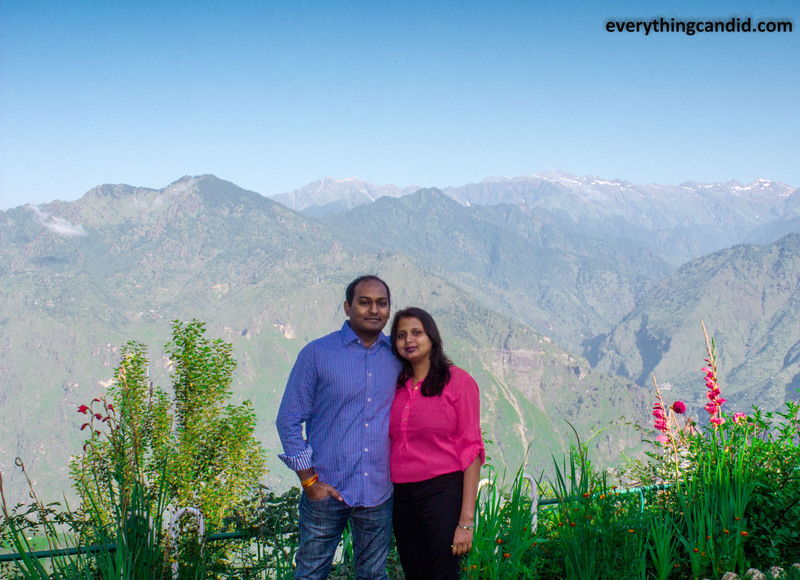 We paid only 1700/- for double occupancy per night.Day one ended with a lot of great memories of our first real road trip. 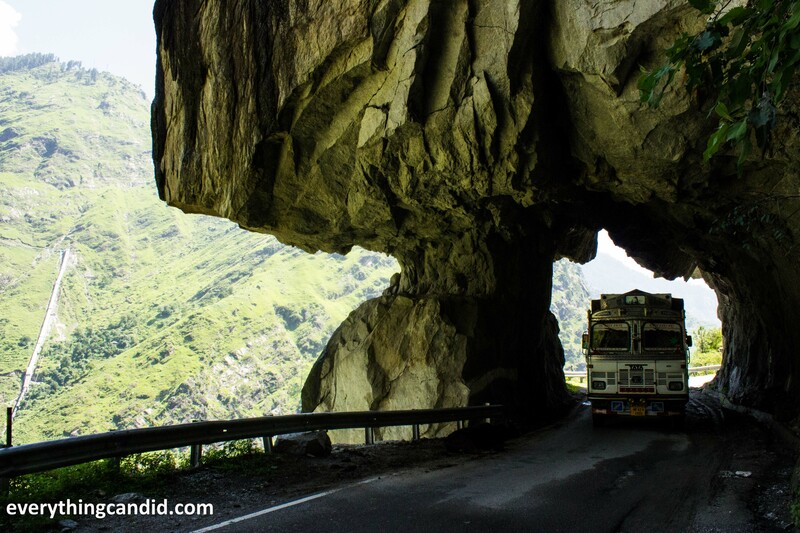 Route: Sarahan – Wangtu – Urni(Off track after Tapri due to Landslide)- Karchaam – Sangla – Raksham – Chhitkul – Sangla. 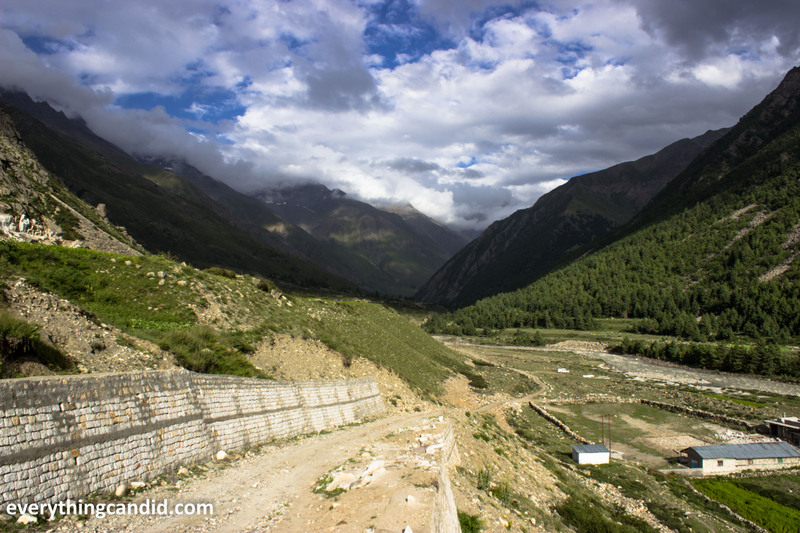 Old Hindustan-Tibet Road. We woke at 6AM to take first glimpse of Sunrise amidst misty morning and paid our gratitude to Srikhand Mahadev from the patio and left the Sarahan at 8:30 AM after having breakfast overlooking Satluj Valley. Driving down to Jeori was faster than the time it took us to come up. 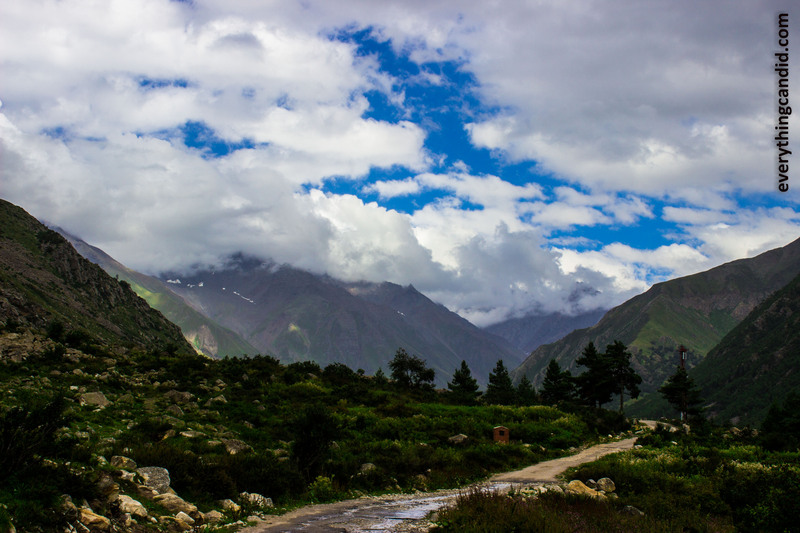 After Jeori our destination was to reach Chhitkul and stay for stay at Sangla. 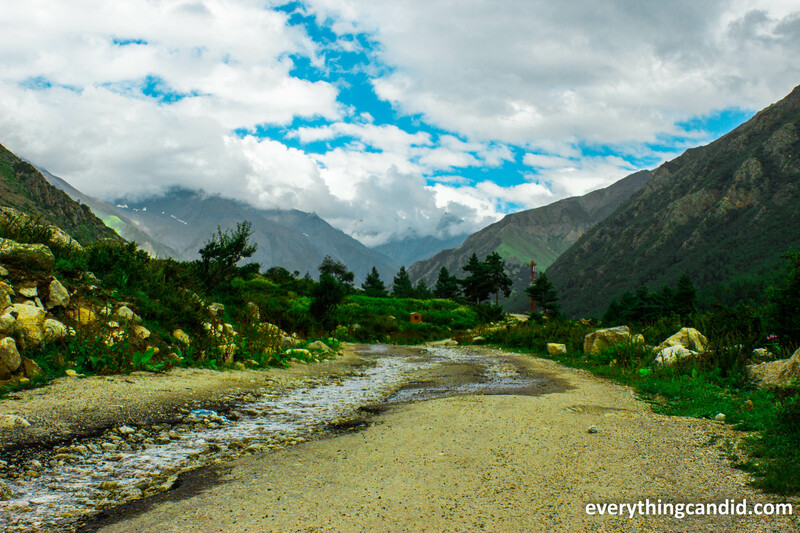 Scenes and ladscapes were so enthralling that we had to stop frequently to capture our journey after all it was our first adventurous road trip. 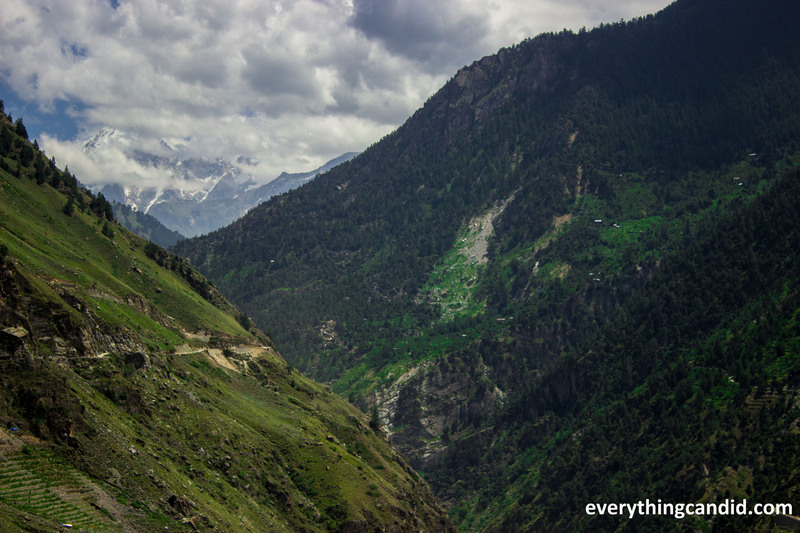 After 30 mins drive, we entered Kinnaur Valley. 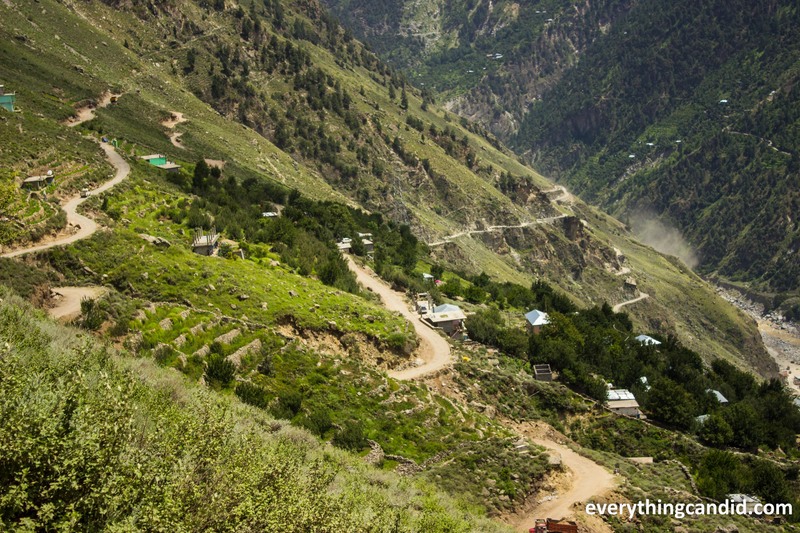 Kinnaur Valley is one of the 12 districts in Himachal and known for its apple orchards, beautiful small hamlets inhabitated by people with beautiful heart, beautiful meadow hills surrounded with thick dense woods and not to forget an abode to adventurous and beautifully crafted roads. 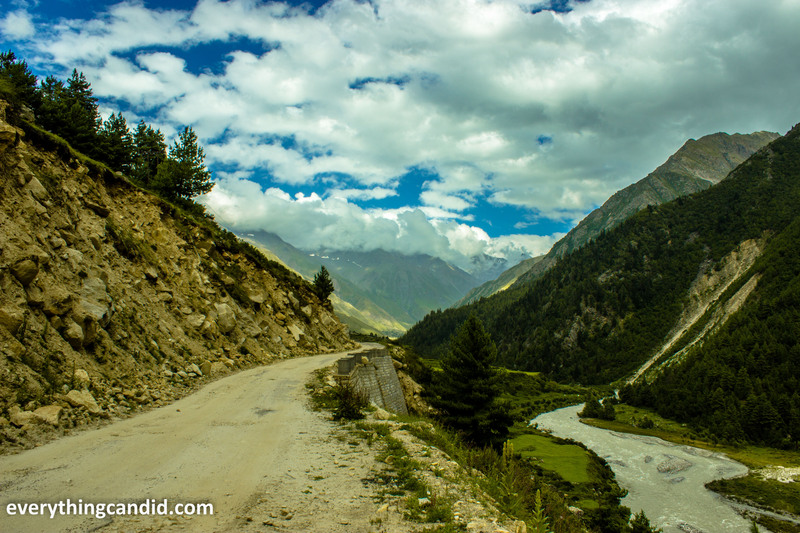 Every turn on this road was followed by a new, changed and breathtakingly beautiful scene. We couldn’t resist ourselves from taking photographs as everything was so picturesque. We also came across the mammoth dams undertaken by Jaypee Group for Hydro Power Projects. Right before karcham and after tapri, we had to take a bypass to karchham due to some landslide. And we had to take a narrow and winding road with steep gradient via Urni. This bumpy and single lane stretch was of 20 KM and we covered it in 3 hours. For me it was a test of my driving skills and till date was most adventurous of driving expedition. 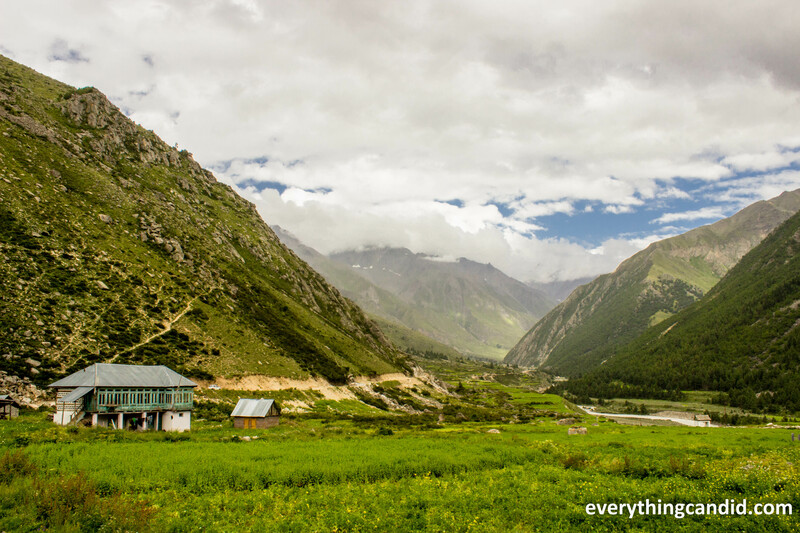 Everything I heard about Baspa valley was amazingly true and we were very excited about our next destination, Chhitkul – the last inhibited village on old Hindustan-Tibet trade route via Kinnaur Valley. 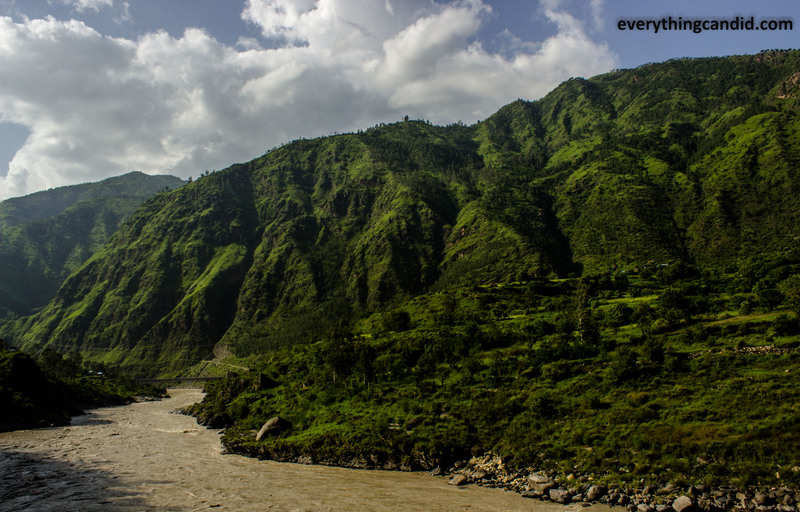 After Karcham we crossed Sutlej and we took detour to Sangla Valley following the Baspa River. 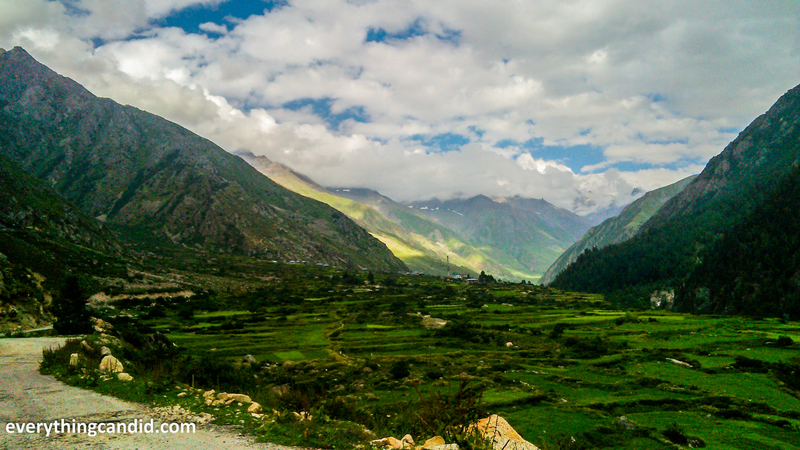 Sangla Valley is also known as Baspa Valley. 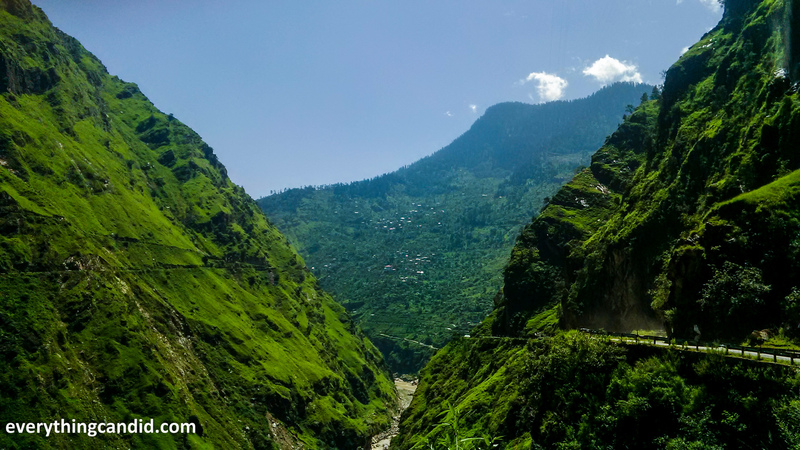 Sangla is about 16 KMs diversion towards right from Karcham which is at Old Hindustan-Tibet Highway going towards Kaza from Shimla. 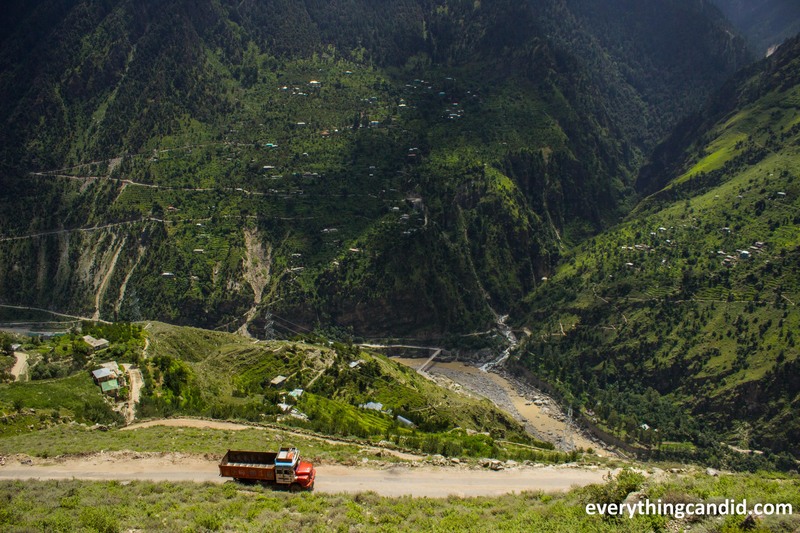 This road from Karcham to Sangla was no less adventurous and it continued till Chhiitkul. 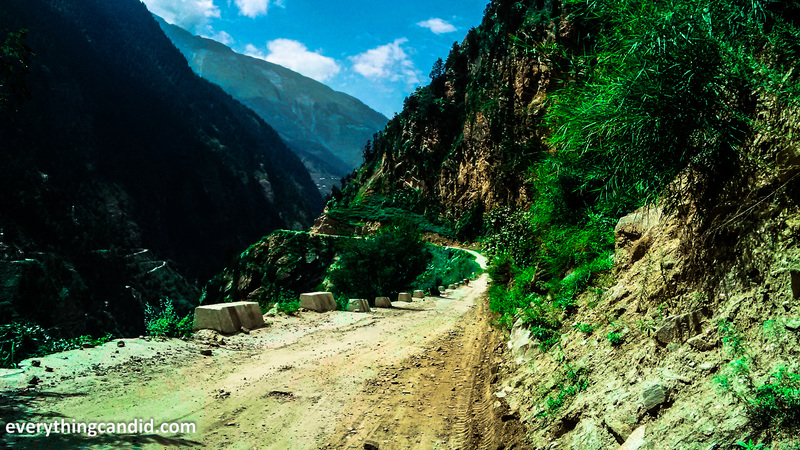 Some part of this road has been featured in Discovery Channels as Deadliest Roads in the World. This added just the right charm of adventure to this unplanned trip. 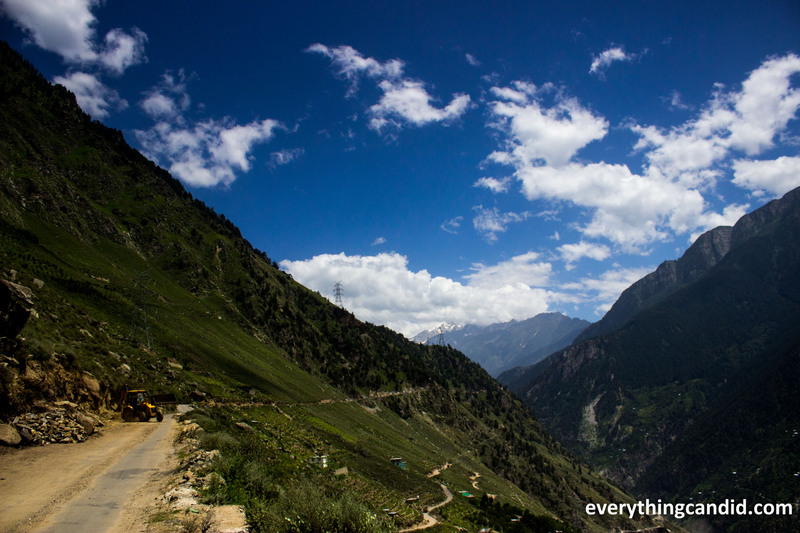 First the grand feeling of traversing thru old Hindustan-Tibet Road and then the adrenaline thumping feeling of meandering thru one of the deadliest Roads were enough to make it most adventurous and memorable trip for us. 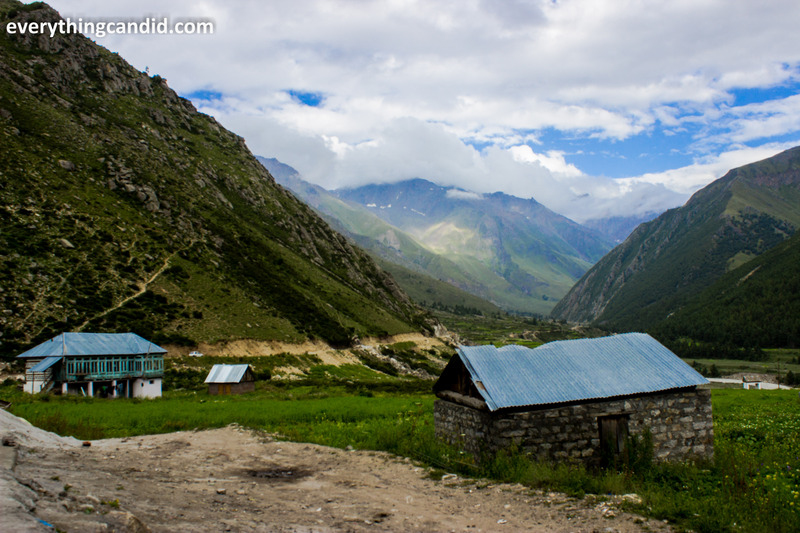 While crossing Sangla we finalized our place of night stay Apple Orchard Farm and Camping. The famous Banjara Camps was adjacent to this place. 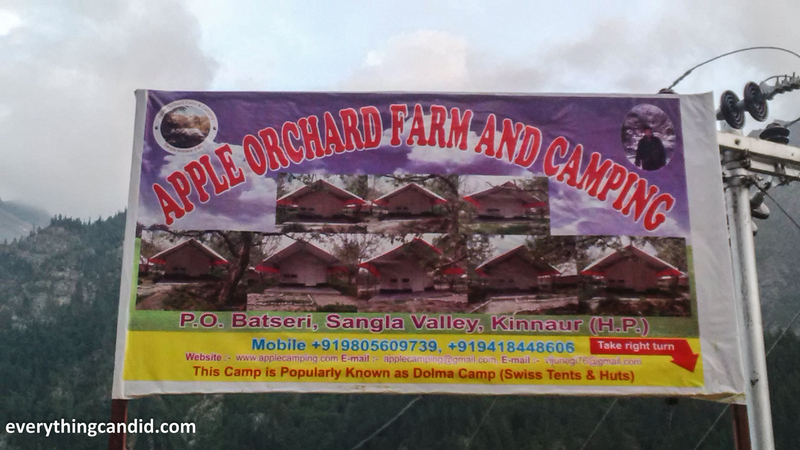 Both the camps provide well maintained swiss tents but Apple Orchard charged us only 3200/- while charges at Banjara were 8000/-. 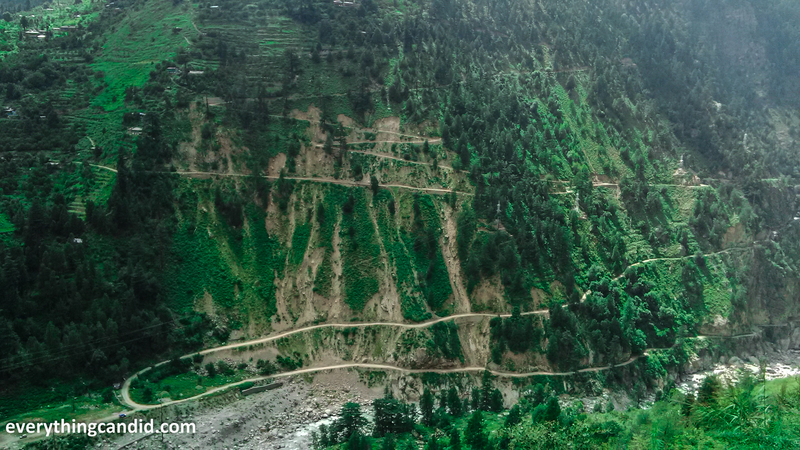 Transformation of landscape was truly overwhelming as we left Sangla. 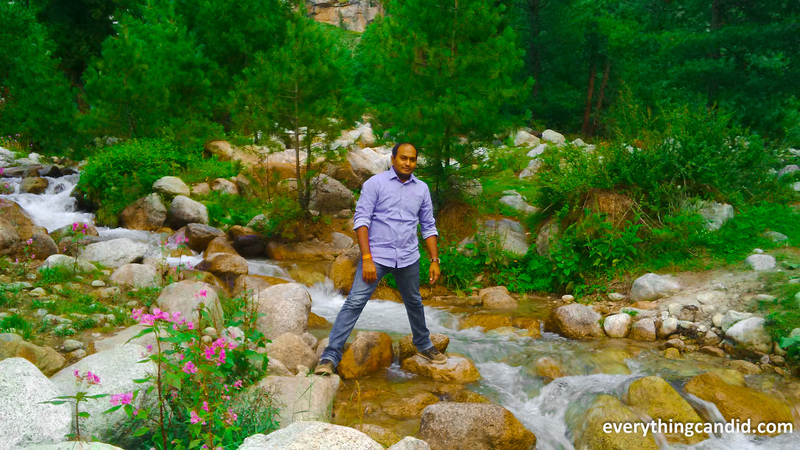 Several water streams were cascading into to Baspa River and flowering colorful scrubs adorned the surrounding. Another hour or so and we reached Rakcham which is a small hemlet with beautiful wooden houses. One hour drive after Raksham to Chiitkul was like traversing thru heaven as the valley was opening up and every view was a perfect landscape. Water streams were overflowing the road and roads passing thru colorful farmlands making entire scene magical. After Raksham, it was like nature has rolled down a red carpet to welcome us in its folds. And once we enter Chhitkul we are at the feast of relishing virgin beauty created by nature god and spread all over the place. 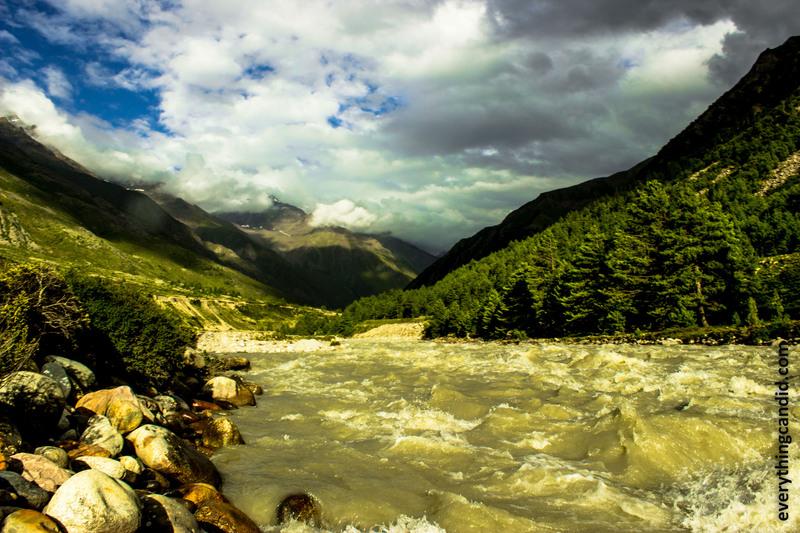 Chhitkul is situated at an elevation of 3480 meteres offering mesmerizing view of Snow Clad Himalaya ranges with Baspa river flowing. The scene was nostalgic. Mountain was there, river was there and wooden houses were there which used to be essential parts of everyone’s childhood painting. We were just speechless by the beauty it offered to our eyes. It was unmatched and incomparable. But we were hungry too and entered a small food joint and ate our Maggie before starting our stroll along the baspa river. This stroll was a never dreamt walk through refreshing surrounding into a magical land. 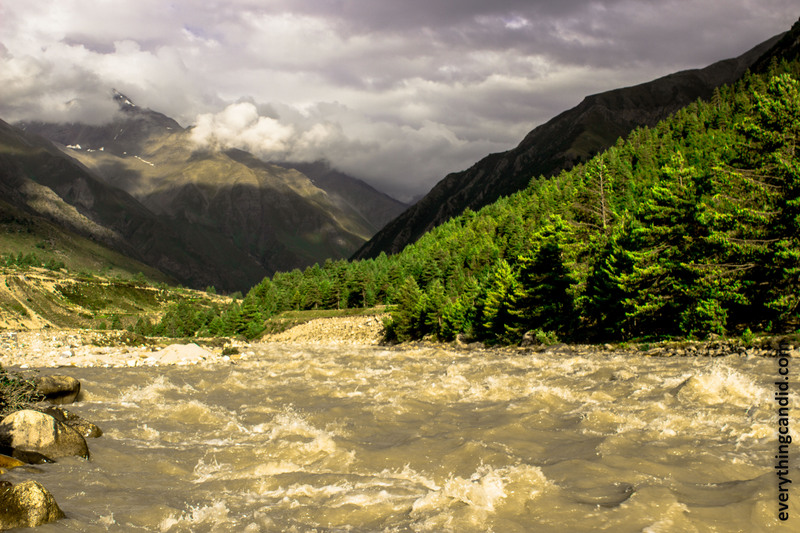 Walk along the Baspa River was the most accomplished culmination of the trip. The trip where nothing was decided, even the places to travel and yet everything fell in place. 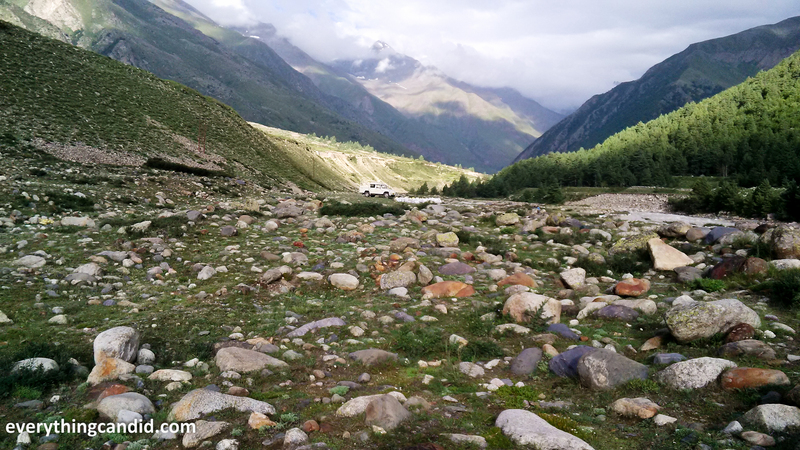 After spending close to two hours at Chhitkul, we left for Sangla to spend the night in our first Swiss-Tent accommodation at Apple Orchard Farm and Camping. They welcome us with refreshing apple juice from their own apples and later served decent food for Dinner. On day 3, we woke up at 5AM and left the camp at 6:30AM for Delhi and camp owner gave us one bottle of Apple juice as kinda souvenir. Our aim of the last day was to touch Delhi by late evening. 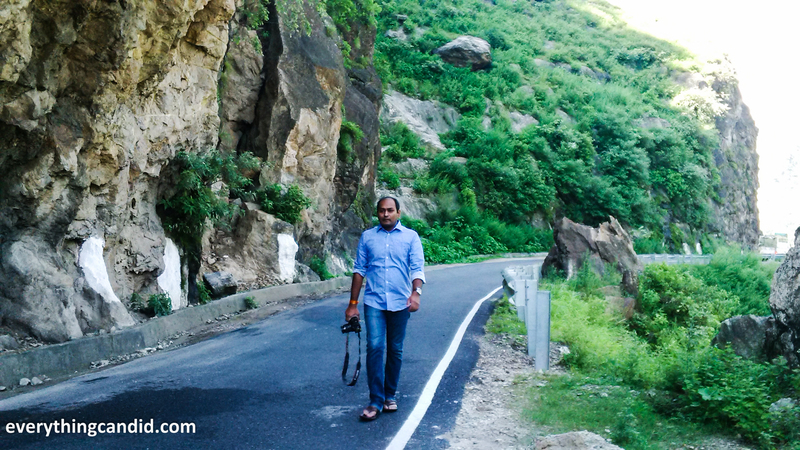 Return drive from Sangla to Delhi gave us one more chance to capture the beauty of Himachal and engrave every moment deep in our memories. On our way back, we refrained from photography due to paucity of time and also preferred only to enjoy the scenes in reality. 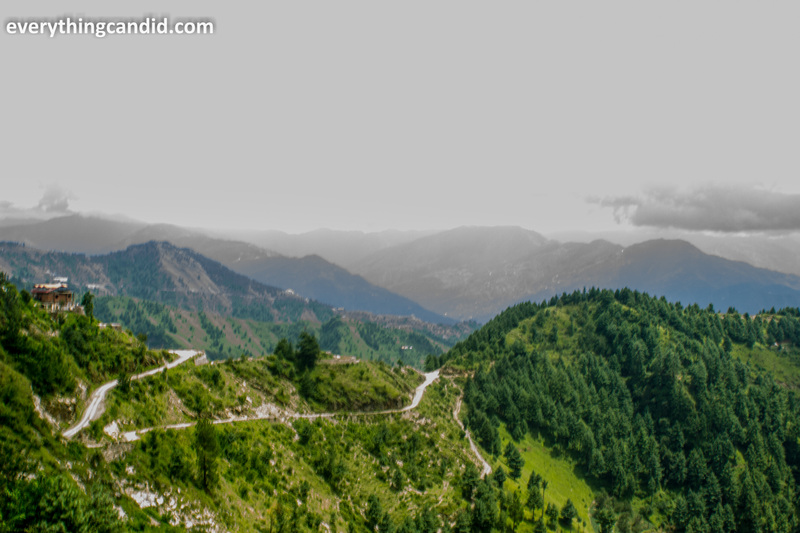 We reached Delhi at 2 AM next day due to heavy traffic we came across from Shimla to Chandigarh. The 19 hours of continuous drive was not at all tiresome but refreshingly energetic. Next day when I reach office, I was off the color but soon was ok. As they say when you are back from a trip only thing that can motivate you to work is to plan for next trip. Thanks to My Mr. Dependable…… a nice detailing is due for you. that’s an awesome way to travel, to pick a direction and just go! Amazing pictures as expected. Delhi is conveniently located. 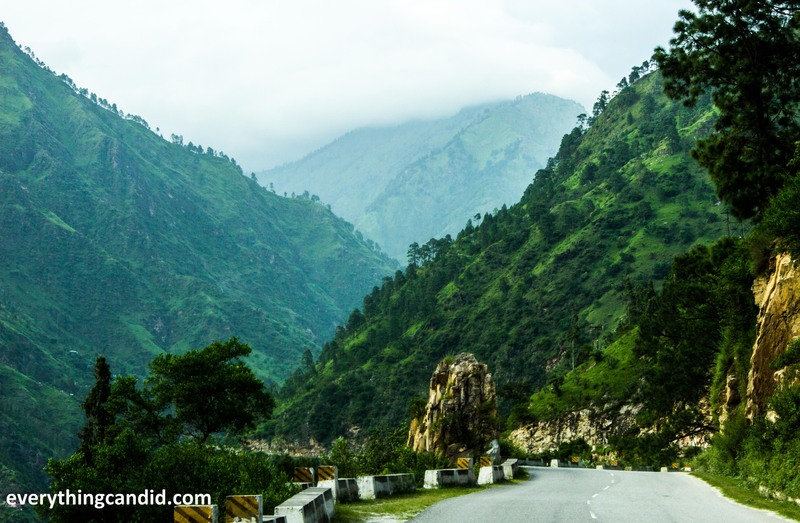 Any time any day you can start your travel to reach distant locations in Uttaranchal, Himachal, Rajasthan, Kashmir etc. And as I crave for journey, every drive is amazing after going beyond 300KM in either direction from Delhi. Do let me know if you plan for north. Yes, Delhi is definitely conveniently positioned! Gorgeous place. Since i am from Ambala, i would like to go there sometime. 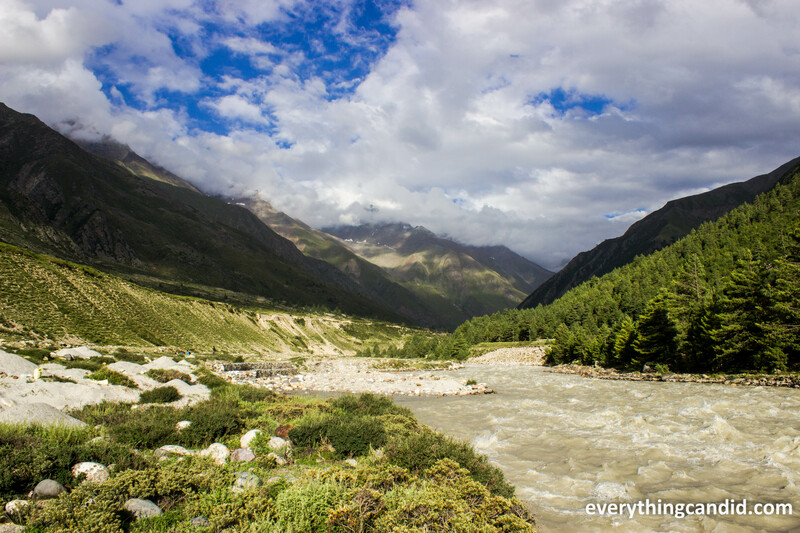 Yes, Chhitkul is indeed very beautiful. Must visit. Sir, you have written a very beautiful blog. I want to talk to you. My mobile no is 09805609739. Please sms me your number so that i could talk to you. I will be very thankful to you. Hello Jai Vijender Ji, I have your number and will call you soon. And we still appreciate your Hospitality that you extended to us. You drove for 19hours in a day 😮 ? Even divided between two of you that is still 9.5 hours for each person. And if a single person drove all 19 hours, it is insane !! I have at max driven 8 hours non stop and I was quite drained at the end of it. I am not sure you will be able to enjoy a place the next day if you spend so much time if a car fighting Indian roads and traffic on the day before! Usually i drive for long hour only on day one and last day….this is just to reach the place in time. I love how detailed your post is! Complete with start and end times plus distances covered. Also, love the photos! Thanks. Noted.Would try to publish more in this fasion. It is very nice of you to surprise you wife for a roadtrip! These places looks magical and you guys looks like had just a wonderful time together witnessing wonders! Haha… and this trip actually was teh turning point and now road trips are our way of traveling. Any early / late rise is always worth it to see a sunrise! You must have been on some amount of sugar to keep going. Lovely views. Sunrise gives best views to any natural place. Haha, Wasnt on any sugar but the all around beauty gave me the real kick. Thanks. The view reminds me of northern part of the Philippines. Lovely photos. Awesome adventures! Thank Cai. C u more often! This is really cool! I love road trips and your pictures are amazing! By the looks of it, this is a safe area. From now on, I will refrain from reading news stuff about the Tibet border. 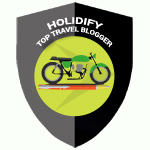 Bloggers are more reliable. Btw, your blog is my new favourite. Really! The places you go to are really fresh and unique. Thanks for always sharing!